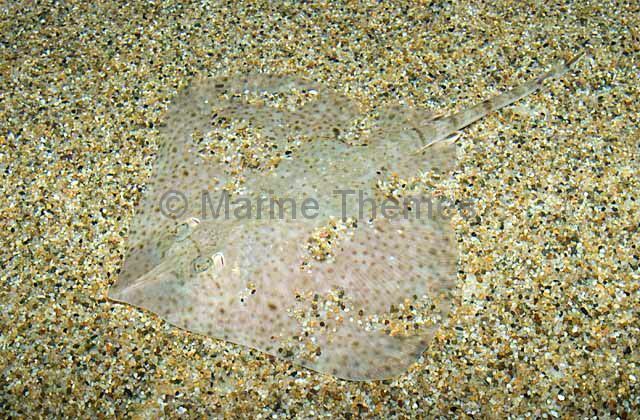 Big Skate (Raja binoculata) juvenile showing distinctive ocellus or eye spots on wings. 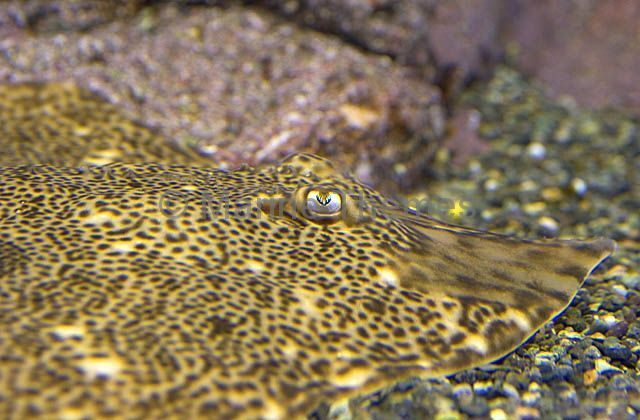 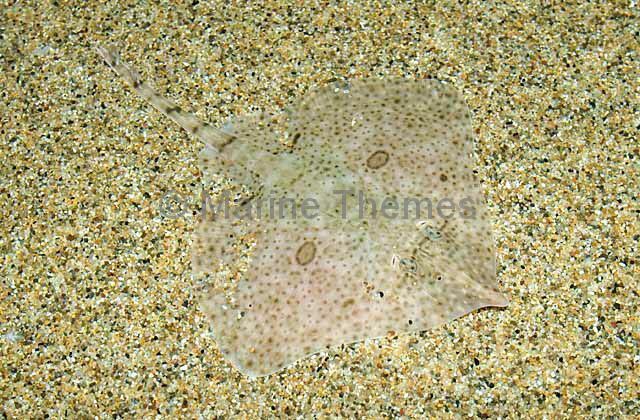 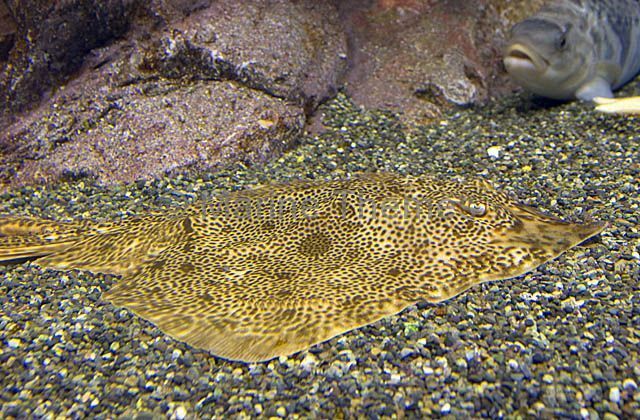 Big Skate (Raja binoculata) juvenile. 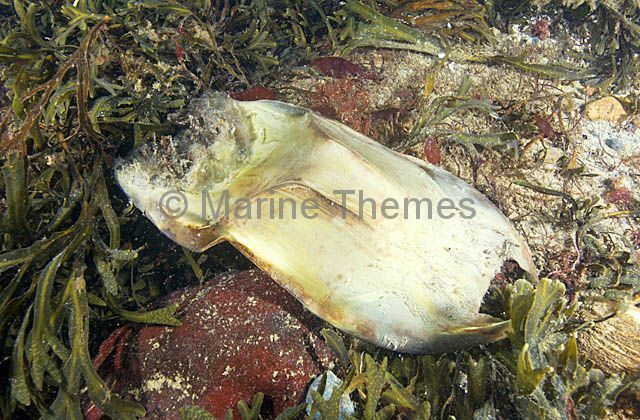 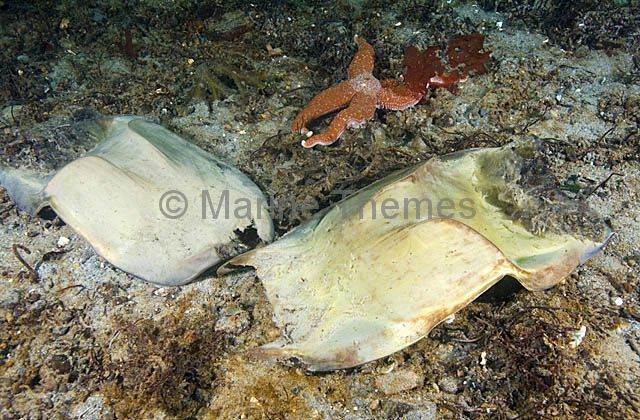 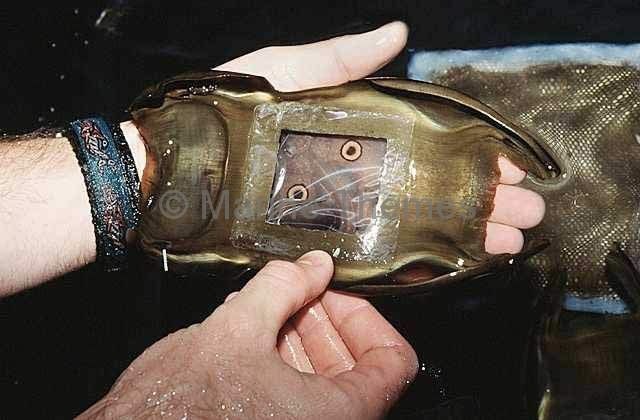 Big Skate (Raja binoculata) egg case. 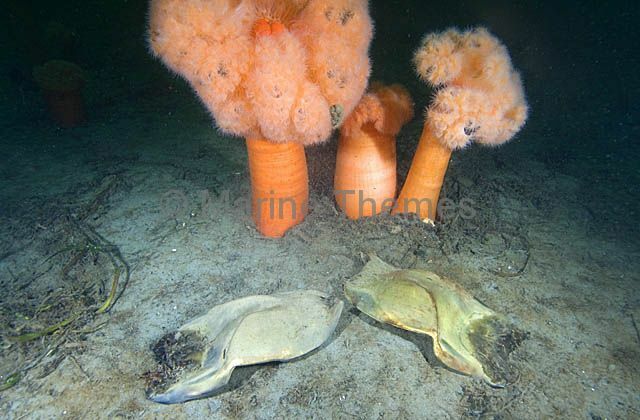 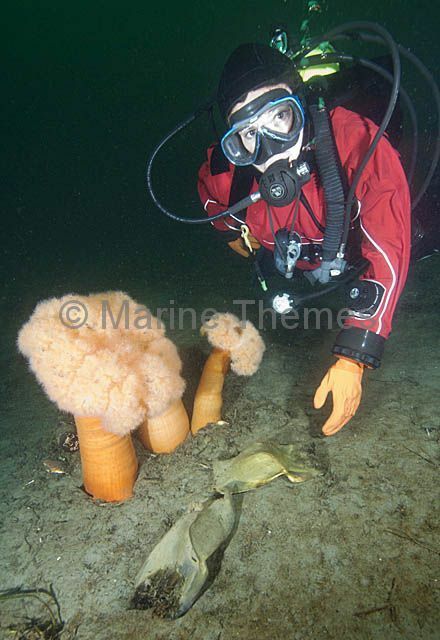 Big Skate (Raja binoculata) egg cases on sea bed in front of Giant Plumose Anemones (Metridium farcimen) with diver. 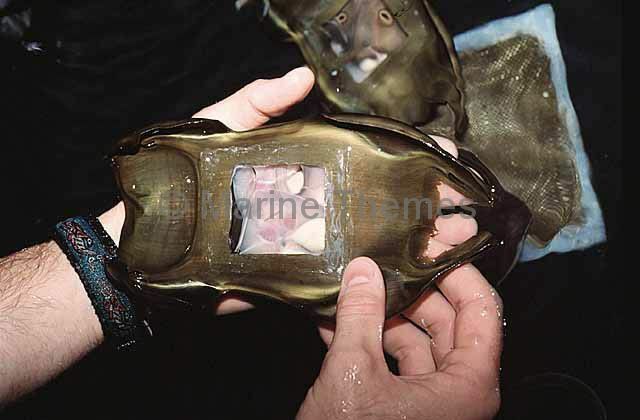 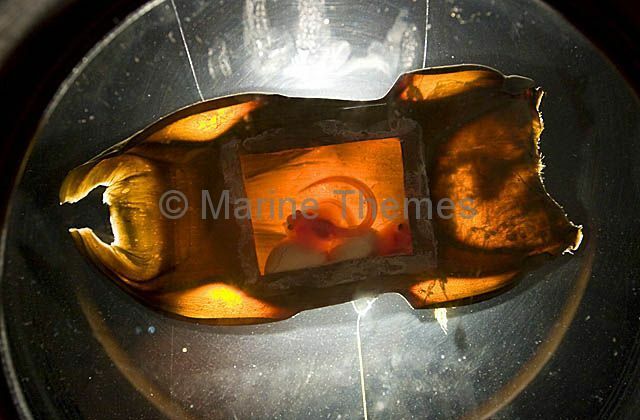 Big Skate (Raja binoculata) egg case with two juveniles, with egg yolks attached, in backlit aquarium display with plastic viewing window glued to cut out section.